The Axiom Precision AutoRoute Pro+ Series of CNC routers offers all of the great features of our Pro Series machines, but adds 4th-axis capability. Powerful electro spindle performance, and rotary machining capability in a compact industrial machine. 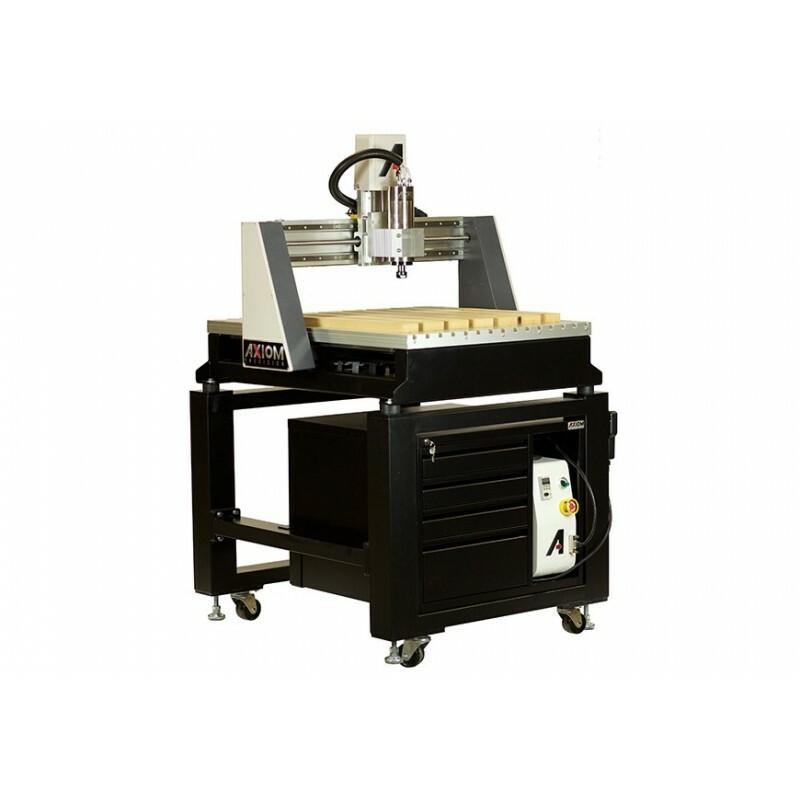 Our Pro+ Series CNC routers have a full 6'' Z travel capacity, and a quiet yet powerful 3HP electro-spindle with integrated liquid cooling system. Each Pro+ machine is prewired to accept our optional Rotary Kit. 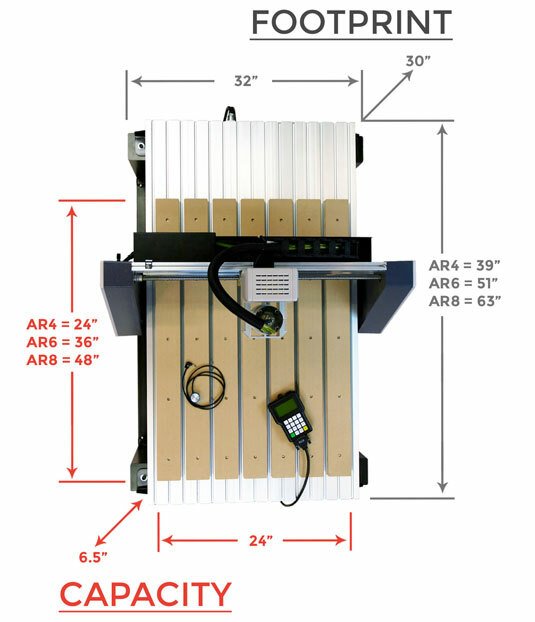 The Axiom Autoroute Pro+ Series CNC routers also offer precision ball screws, prismatic guides, a robust steel frame, and interlocking aluminum table. In addition, the integrated MDF spoil boards promise you the all precision you need, since they can easily be milled flat for a true perpendicular surface to the spindle. Table work area AR4 = 28.4" x 39"
AR6 = 28.4" x 51"
AR8 = 28.4" x 63"
I have been programming and running CNC overhead routers since 1993. After retiring, I missed the creativity that this afforded me so I bought another brand of CNC router and added it to my stable. What a disappointment. I put it in my truck and drove to the sellers front door and gave it back demanding a full refund. 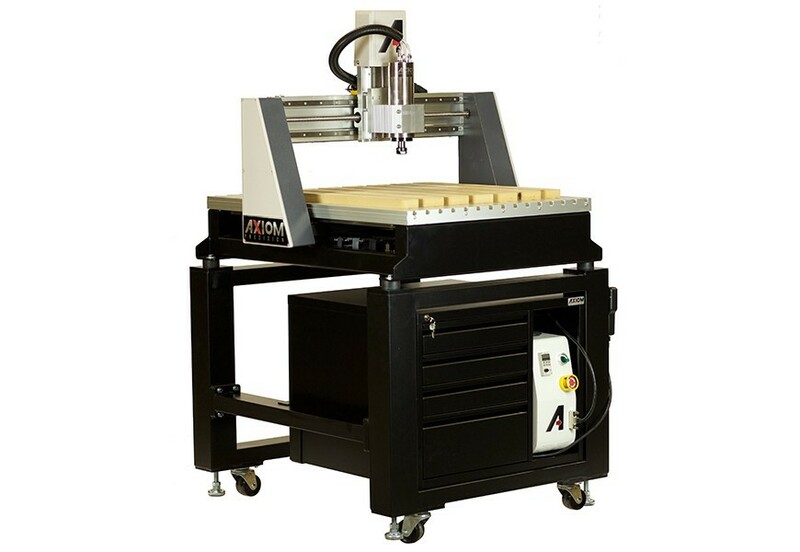 Not wanting to give up I continued to research CNC routers and came across Axiom. After more research I bought mine. Upon it's arrival I immediately realized it had some serious weight which let me know that this equipment was not cheaply built. After the minor assembly I was ready to try it out. Wow. It performed great and still is. As I have a small business, I added CNC machining to my services and the Axiom has performed flawlessly and continuously. There are times it runs for 12 to 14 hours straight and never skips a beat. I have not had the need to contact support from the beginning through the months to now.